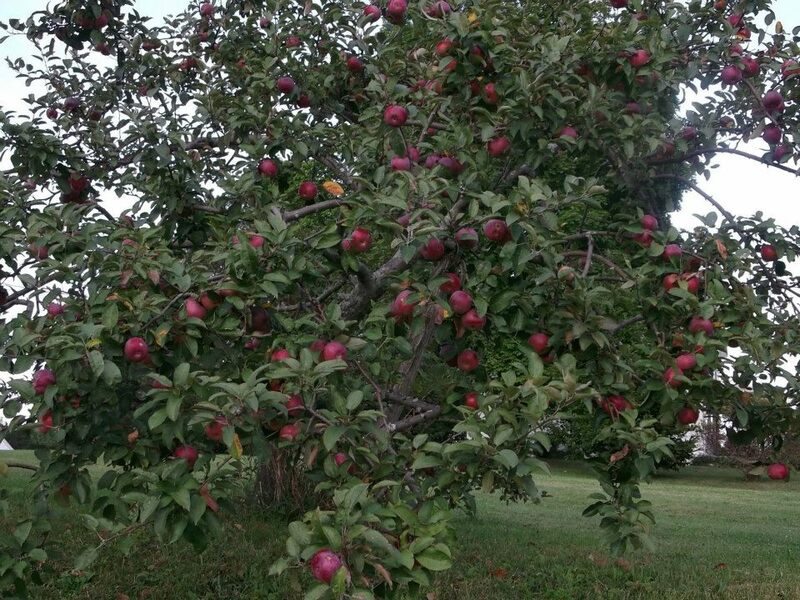 But for the true farming professionals, like Doug and Talea Fincke of Montgomery Place Orchards, situated favorably near the Hudson River in northern Dutchess County, this year was incredibly bountiful, “one for the ages that we’ll be talking about in our rocking chairs,” said Talea. Especially for apples, one of their main products, representing over 60 different varieties, many of them antique. One of their late-arriving heirloom varieties, the large and comely Black Twig, originally a Tennessee seedling, was a welcome sight at the Montgomery Place farm stand in early November, and especially delicious this year. As a native (West) Tennessean, the Black Twig’s origins naturally attracted my curiosity. Introduced as a seedling around 1830 on the farm of Major Rankin Toole, near Fayetteville, Tennessee (in Middle Tennessee, near the Alabama border), the Black Twig was apparently the favorite apple of Andrew Jackson himself, and became one of the most popular dessert apples across the south, including Virginia. It’s easy to understand why. 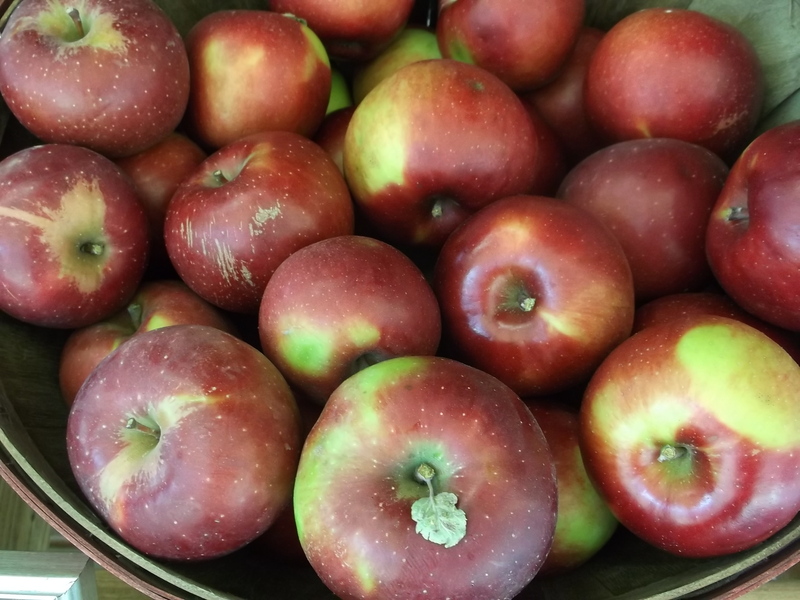 A largish apple with a chewy, crimson skin, often with green or yellowish highlights, it has firm, crunchy and wonderfully juicy yellow flesh, along with cider-like aromas and excellent balance — neither too tart, nor too sweet. 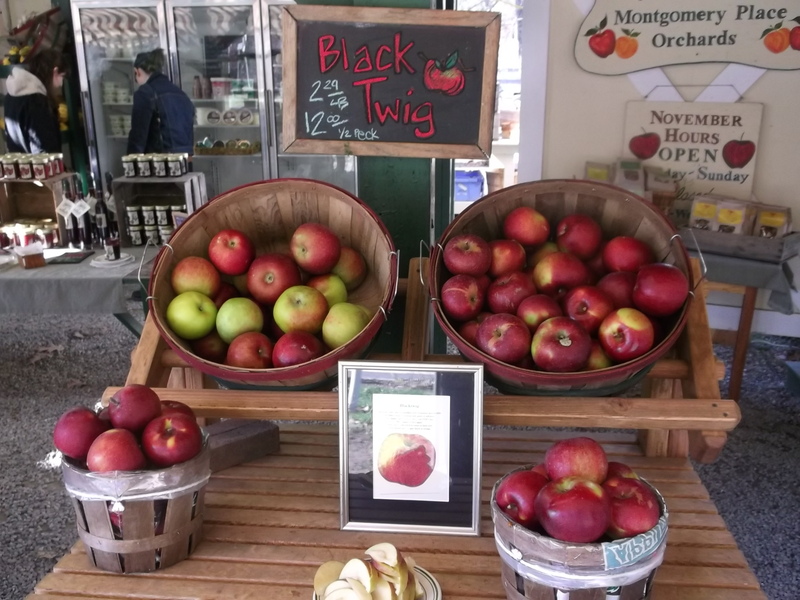 Great for eating, baking or hard cider, the Black Twig is also an excellent keeper, one that can make it to spring in the right conditions, and whose flavors will improve and grow more complex with storage. Talea calls it the “Russian supermodel” of apples — large, shapely and substantive. And it is NOT synonymous with another southern apple, the Arkansas Black, which is a completely different variety. Local baker extraordinaire, Mike Gonella, owner of Tivoli Bread and Baking, is also a big fan of the Black Twig’s flavor, texture and long shelf life. When available, he buys big quantities from Montgomery Place for his holiday and early winter confections. I’m not really sure why the Black Twig fell out of commercial favor in the 20th century. Perhaps because it’s literally a late bloomer; perhaps it’s the thick peel; perhaps because it’s a “diploid”, requiring another variety to pollinate. Whatever the reasons, I’m grateful that the Finckes have relocated the Black Twig to the Hudson Valley, where it has adapted well to its new environs. Tennessee heritage has never tasted so good — at least in non-liquid form! This entry was posted in At Our Farmhouse, Beer + Cider, Farm Stands, Hudson Valley, Hudson Valley Farms, Local Food and tagged Black Twig apple, Empire apple, Hudson Valley, Mike Gonella, Montgomery Place Orchards, Tennessee apple, Tivoli Bread and Baking. Bookmark the permalink.